Immerse yourself in the healing power of fragrance! The Aromatherapy Garden explains how fragrant plants can be as therapeutic as they are intoxicating, and how easy it is to add this captivating element to gardens large and small. It reveals the scents, secrets, and science behind fragrant plants, and how to optimize the full benefits of fragrance. 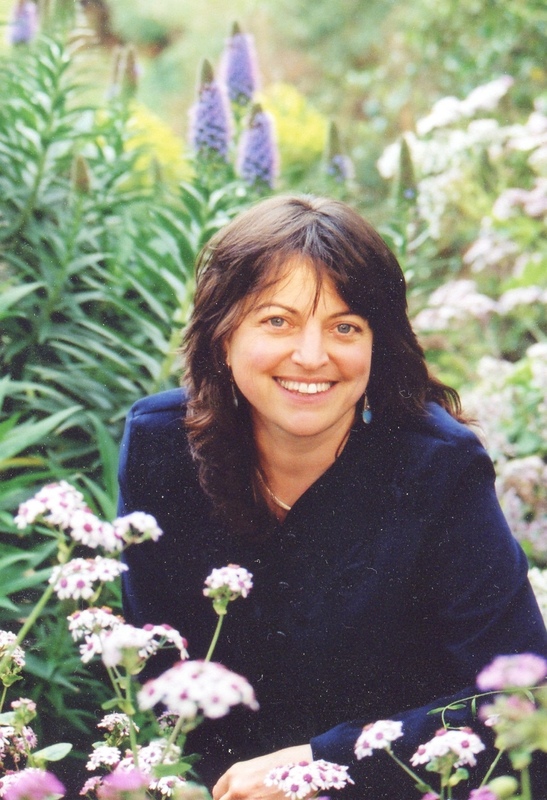 Kathi Keville, internationally known aromatherapist and herbalist, shows you how to bring the magic of fragrance indoors; make your own body oils, liniments, and tonics; and create rich garden scent combinations. The nose knows - and with Keville's expertise, now you too can benefit from that knowledge to create your own sanctuary of health and happiness. My passion is nature - gardening, hiking, biking, canoeing, and visiting botanical gardens. When I'm not enjoying being outside, I'm writing about it. I love sharing the healing gifts of nature. The result is 15 books and well over 100 magazine articles on herbal medicine, aromatherapy, organic gardening, and just plain healthy living. I teach in North America, Europe, and in year-round classes and at my Green Medicine Herb School in Nevada City, California, along with visiting herbalists. You can find me, Green Medicine Herb School, and the American Herb Association at www.ahaherb.com. My steep 10-acre property of mostly oak and pine runs from exactly 2700 to 2800 feet elevation in the Sierra. It is hot every summer and snows in the winter, yet I still manage to grow a world-wide selection of 500 medicinal species in an acre of terraces on my Oak Valley Herb Farm. I grow some vegetables and also dine on wild foods. Another fun plant-oriented activity is my monthly radio program. The Garden Forum: Herb Edition on KVMR (89.5 FM) is a call-in show if you ever want to participate on the first Friday 1pm-2pm. I'm in my garden discussing the plants that I grow on the multi-series aromatherapy show "Everybody Nose" on Dish Network TV (Veria Network) . I am the Director of the American Herb Association. Since 1981, I've published the subscription AHA Quarterly Newsletter containing up-to-date news. I'm also a member of United Plant Savers, was a founding member of the American Herbalists Guild, and an honorary member of the National Association of Holistic Aromatherapy. I've belonged to the California Native Plant Society, Sierra Club, Nature Conservancy, and other environmental groups for decades. A little more about me is that I've been devouring books since I learned to read. I remember pouring through writings of Jules Verne, Charles Darwin, and Charles Dickens in fifth grade, and then moved on to the Classics. Early on, my goal was to be an art teacher and to write and illustrate children's books. I do have an art degree, but I became fascinated with using rather than illustrating the green world around me. Today, my library of plant books covers the four walls of my office, and then some! Several of my 15 books have been translated into other languages. Herbs for Health & Healing is in Spanish as both Yerbas por Remedias and Hiebas para la Salud, and in Polish as Lieloa Apteka . Herbs, An Illustrated Encyclopedia has a French edition, Le'Encyclopedie des Plantes de Santé. Herbs: American Country Living is also in French as Le Monde Merveilleux des Herbes.